Maxiflex Managing Director, Bram Janssen, explains how their relationship with ASSA ABLOY Entrance Systems started: “In 1994, only four years after first opening our doors for business, we added high-speed doors under the name of Schieffer (which later became Albany Door Systems) to our product range. In 2012 ASSA ABLOY Entrance Systems bought Albany Door Systems and the rest is history. 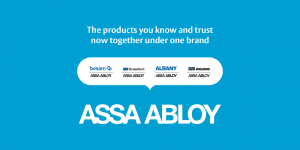 Due to our long years of experience in supplying high-speed doors, ASSA ABLOY Entrance Systems did not hesitate in appointing us as the sole distributer of their Crawford, Albany and Megadoor brands. We look forward to continuing the successful journey with ASSA ABLOY Entrance Systems and supplying our customers with this premium brand which is well-known and has found wide acceptance within the Southern African market. The rugged high performance ASSA ABLOY Entrance Systems industrial doors and loading dock equipment add value to end-users through reduced energy costs, more comfortable and safer interior working environments, seamless pedestrian and material flow, maximised uptime and improved productivity. Available in a wide variety of configurations and materials, these doors have the capability of opening at speeds of 1m/s, which is four times faster than any other overhead sectional doors currently available. Based in Spartan on Johannesburg’s East Rand, Maxiflex supplies door solutions for dispatch and receiving loading bays, warehouses, distribution centres, factory entrances and partitioning, shopping centres, freezer and refrigeration rooms, etc. The company’s extensive customer portfolio straddles the automotive manufacturing, food and beverage, hospitality, pharmaceutical and mining sectors across Southern Africa. The Maxiflex team of highly trained and skilled service technicians supported by a countrywide branch network is on-call 24/7 to render quick and effective assistance to ensure minimum disruption to customers’ uptime.